A London DJs Diary - Purim 2019! Working as a DJ throughout London is incredible! I particularly enjoy being able to work with different members of London’s diverse multicultural community. Recently I performed at a Synagogue in West Hampstead as part of this years Purim celebrations. I was asked to supply Disco Lighting as part of what was a ‘Glow in the dark’ themed party. I was also tasked with playing some incredible Hebrew music from all over the planet. Purim is a Jewish holiday which commemorates the saving of the Jewish people from Haman. Each year the festival is celebrated on the 14th of the Hebrew month of Adar and this year it begun on the 20th of March. I was lucky enough to perform at two events which took place at the Village Shul in North West London. 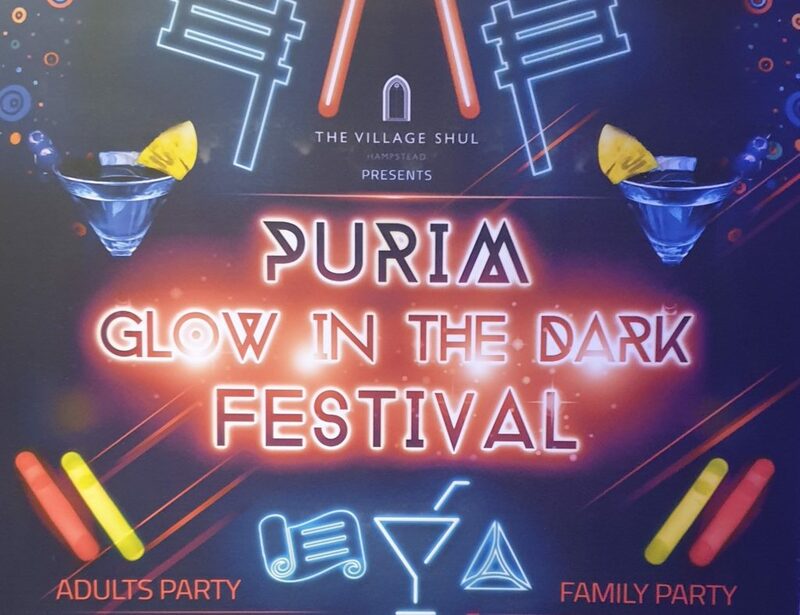 This years party was entitled ‘Purim, glow in the dark festival’ and guests were encouraged to adorn themselves using Neon Paints and accessories. On the night I used four UV lights to worked excellently and really enhanced the atmosphere. On the night I featured a selection of both Hebrew and contemporary Jewish music. Other entertainment on the night included a dance performance, which was fantastic, whilst there were also readings from the Torah. All in all it was very enjoyable and I particularly enjoyed the opportunity I got to showcase my incredible UV Disco Lights! I really hope you’ve enjoyed reading this blog. If you have you can find more just like it here. Previous Post Hiring a Wedding DJ as a Master of Ceremonies?